Join the Public Health Institute, U.S. 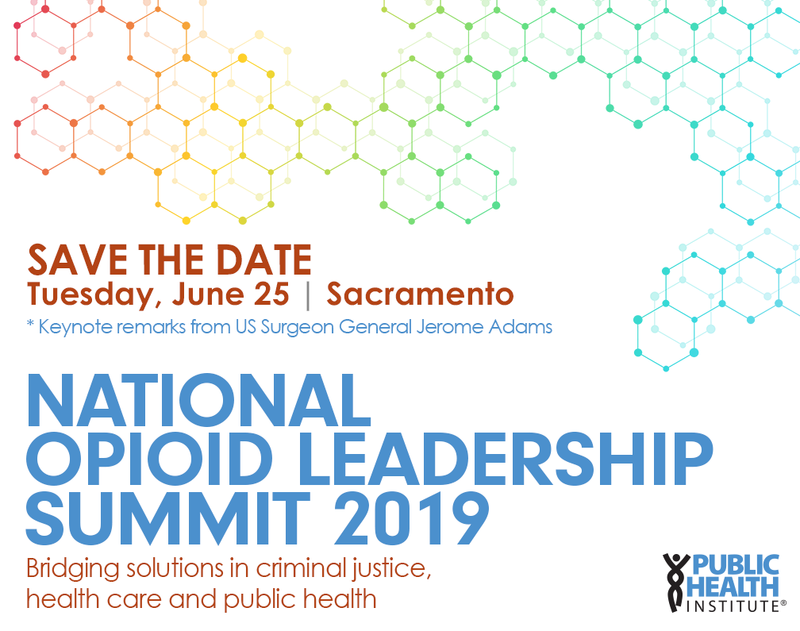 Surgeon General Jerome Adams and colleagues from across the country on June 25, 2019 in Sacramento to learn about, share and collaborate on real solutions to the opioid crisis that bridge the criminal justice, health care and public health sectors. Keynote remarks will be delivered by U.S. Surgeon General Jerome Adams. Opioid use disorder isn’t contained by the walls of a cell, hospital or treatment center—and our interventions can’t be either. Join funders, national leaders and local innovators from across the country for a solution-driven summit meant to spark new ideas and new collaborations. Learn what’s working on the local level, successful models and policies that can be tailored to fit your community, and barriers to bringing proven interventions to scale, all presented through TED-style talks, keynotes and interactive breakouts. Sign up for first notice about details, early-bird pricing and event registration.